← Conservative Women: This is Our Year! Is This Woman Native American? A funny thing happened to Elizabeth Warren on her way to snagging a prestigious professorship at Harvard Law School in the mid 1990s. Magically, this white-on-white middle class lady, who is currently a Democrat candidate for Senator in the state of Massachusetts, suddenly trans-raced into a very statistically suitable Native American minority. And faster than the academic elite could say hocus-Pocahonis, Ms. Warren found herself ensconced in that coveted Ivy League crimson while Harvard fulfilled their ill-gotten quota. And that demographic sleight of hand, faithful readers, resulted in what is snidely referred to in the HR Diversity racket as a big time TwoFer—Harvard got to work the diversity dodge by claiming they hired not only a female but a Non-White one at that. Two boxes checked on the federally forced Affirmative Action form. On numerous occasions, Warren has claimed that both her maternal grandparents had Cherokee and Delaware Indian ancestry in their gene pool. But a genealogist at the New England Historical and Genealogical Society sourced Warren’s ancestry on her mother’s side back to her great grandparents and found no trace at all of Native American heritage. So could Lizzie Legal Eagle possibly be speaking with a family forked tongue here? Warren’s claim put the candidate in an awkward position as campaign aides last night scrambled but failed to produce documents proving her family lineage. 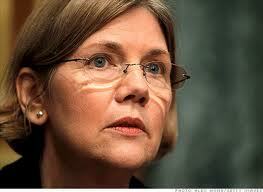 Aides said the tales of Warren’s Cherokee and Delaware tribe ancestors have been passed down through family lore. The Ivy League law school prominently touted Warren’s Native American background, however, in an effort to bolster their diversity hiring record in the ’90s as the school came under heavy fire for a faculty that was then predominantly white and male. “Of 71 current Law School professors and assistant professors, 11 are women, five are black, one is Native American, and one is Hispanic. Sarah Marston, the current spokeswoman at Harvard Law School, said the school has had a change of heart when it comes to discussing Warren’s heritage. It seems the liberal Left is having a hard time of late in working that racial razzle-dazzle to their political advantage. Tsk, tsk. Such outrageous minority misrepresentation by a progressively pretentious law school and an academically mobile matron. Little Lizzie Light Skin is looking less and less senatorial with each passing day. This entry was posted in Education/Campus, Political/Social and tagged affirmative action, diversity, Elizabeth Warren, Harvard Law School, Native American. Bookmark the permalink. 4 Responses to Elizabeth Warren: Native American? I’m Native American and proud of it. Although, as a young person I was considered despicable for my heritage. Elizabeth Warren is the despicable one. She is a disgrace. She should know that if she was an Indian her people would be listed at the bottom of census records. Most the time census takers disregarded your race if you weren’t black or white. Mulatto was a catch all for Indians. Harvard should have disciplined her years ago. The responsible thing for her to do is “fess up”! Admit you’re a liar 🤥. Admit you needed a quick way up the social ladder. I would not honor you by calling you Pocahontas. She was a brave Indian American. You drag her name thru the mud to benefit your needs and wants. Well, once again liberal BS comes to the fore. Quotas are nonsense. A person should be hired on their qualifications, not on their ethnicity. When a student enrolls in a course, he/she shouldn’t be concerned about the race of the teacher. If a particular race or culture is not up to snuff then it’s just too bad. Lowering the bar ( aka affirmative action) only lowers the quality of education for everyone. A college degree used to mean something. Now it means absolutely nothing. Warren should be ashamed of herself and Harvard–what outrageous nonsense in trying to pass this woman off as an under-privileged minority. What a bloody farce affirmative action is. And I agree, Artie, a college degree today is not worth the debt incurred to get it. Well, I must admit that when asked to fill out a voluntary form from Actors’ Equity everytime I auditioned, I, a pasty skinned Irish French Polish American, would indicate I was a native American, (I WAS born here, and am a “native”,) and an African-American since there was a family legend that a Norman Crusader ancestor had brought back a wife from North Africa.